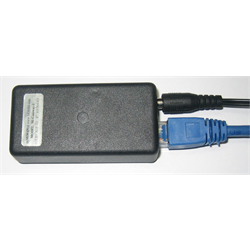 The Mi-Gateway is a network gateway that receives messages from one or multiple Mi-Sensor remote wireless sensors (not included), and either logs their status or sends an email alert based on user configurable thresholds or settings. Most cellular companies offer an email-to-SMS service in case a text message is preferred. Add one or many wireless Mi-Sensors . These tiny 4cm x 4cm devices have built-in temperature sensor, motion/shock sensor and push button. They can be used to detect hi/low temperatures, door knocking, glass break attempts, movement of assets, or even lack of presence (out of range)detection without any add-on sensors. Or use the external input to expand the M-Sensor. Add a simple wire to the Mi-Sensor to detect moisture/water/leaks. Add a security magnetic contact to detect door, window or cabinet opening. Add an emergency button for panic emails or notifications. Get creative. Trigger an email alert based on any of these triggers and log historical status too! 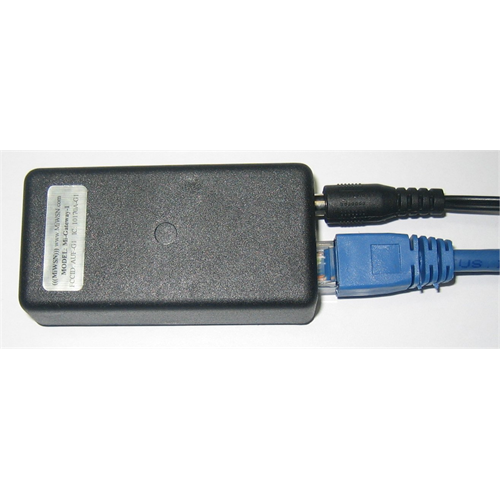 The Mi-Gateway has a built-in web server that you connect with from your Windows or Mac computer to configure the sensors and email alert options. Just connect it to your network and it will accept a DHCP address and you can locate it using your router or by http://WSNG in your browser bar. 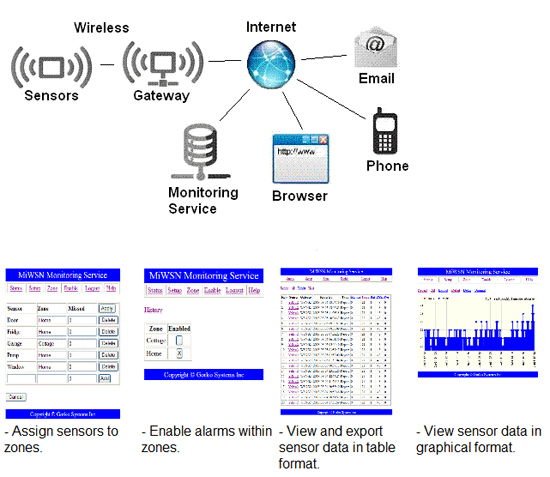 The built-in web server will display the most recent 10 sensor notifications, while the FREE cloud based MiWSN monitoring service provides current status as well as a more detailed history, graphical display format, and the ability to export historical data in table format. To extend the wireless coverage range, additional Mi-Gateway-1 units may be configured for wireless repeater mode. The MiGateway wireless range is up to 300 feet outdoors or 60 feet indoors (line of sight without any obstructions or interference). Note: While the on board web service and email alert, and cloud service is free, your cellular company may charge a monthly fee for email to SMS/text coversion.